Find Scarborough Ren Festival: Royal Ale Festival Event Information. Get Detailed Ticket Links and All Themed Weekend Event Dates and Times. Official Website Links and Directions can be found on this Page. Be Prepared for the Stein Holding Competition by coming in and Checking out our Renaissance Stiens, Mugs, and Tankards! Discover Ladies’ Royal Ale Festival Bar Maid and Wench Costumes & Accessories, Steins, Flasks, Costumes, and Corsets for all your Renaissance Needs. Bring a Photo and Our Helpful Staff will help you piece together your outfit to your Budget! Scarborough Ren Festival: Royal Ale Festival Date & Time: April 27-28, 2019, 10:00 a.m. – 7:00 p.m.
Bring your friends and enjoy tastings of assorted beer along with a variety of entertainment! Sample a wide variety of beer while enjoying lively entertainment and tasty snacks. Each day from 12:00pm – 4:00pm in the Crown Pavilion. Tickets are $10 per person and may be purchased online before the tasting. Stein Holding Competition: See if you can have what it takes to hold a beer stein longer than the rest to win your very own collectable, souvenir Scarborough Stein! Register at the Front Gate by 2:00 pm to participate. Deaf Awareness Day (Saturday, April 27th) – Special signed performances throughout the village provided by Hired Hands, Inc.
Spring Celebration – Join in the fun with the Villagers of Scarborough as they all celebrate “May Day” and the beginning of Spring by wearing beautiful flowers throughout the weekend! Scarborough Renaissance Festival: Royal Ale Festival Weekend Date & Time: April 27-28, 2019, 10:00 a.m. – 7:00 p.m.
Join Scarborough Renaissance Festival in celebrating the Royal Ale Festival Weekend April 27-28, 2019! For all the Scarborough Tickets, Scarborough Weekend Full Dates & Times, SRF Maps, Schedules and Themed Weekend Costume Info, our website has it all. We have all the Scarborough Ren Fest Info you will ever need. 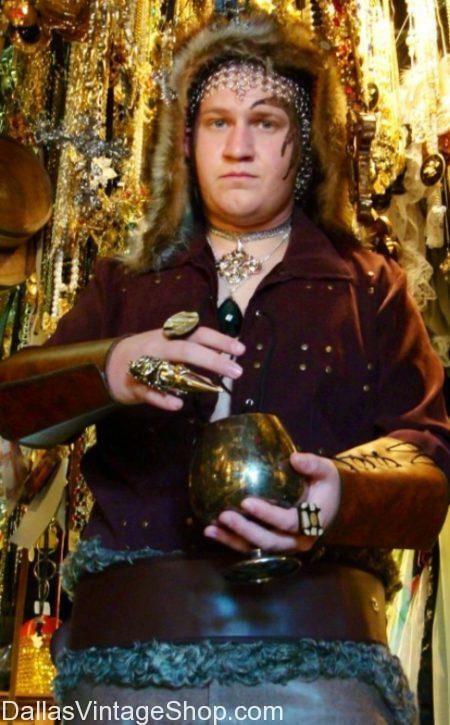 Dallas Vintage Shop has all the Renaissance, Celtic, and Fantasy Chalices, Mugs, Tankards, and Goblets that will inspire and make your outfit and your day at Scarborough Fair unforgettable. You will find more Renaissance Costumes than you can imagine. Scarborough Renaissance Festival: Royal Ale Festival Date & Time: April 27-28, 2019, 10:00 a.m. – 7:00 p.m.
We love this Waxahachie Event. Find details on Scarborough Ren Faire: Royal Ale Festival Weekend Event Location, and information on Times & Dates. 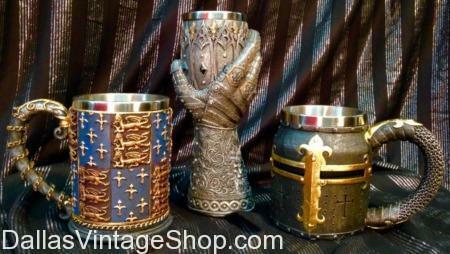 Drink your Royal Ale from Renaissance Tankers and Chalices from our Medieval, Celtic, Renaissance & Royalty Selection. For all the Renaissance Costume Ideas you’ll ever need, Dallas Vintage Shop is Well Worth the Drive! Scarborough Ren Faire: Royal Ale Festival Weekend Date & Time: April 27-28, 2019, 10:00 a.m. – 7:00 p.m.
All Scarborough Renaissance Fest: Royal Ale Festival Weekend Event Information can be found here! Find Event Tickets and Information Including Links and Directions to SRF in Waxahachie. 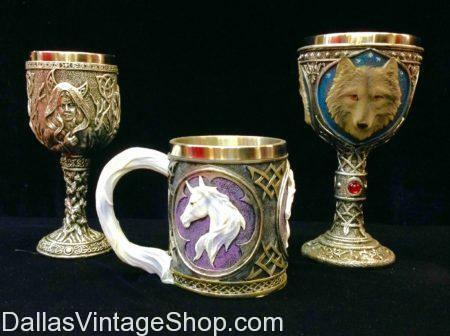 Get Fantasy and Royal Chalices and Mugs to hold your Ale in Style at Dallas Vintage Shop. You’ll find outfits perfect for Druids, Celtics, Pagans & Wizards along with many Accessories to make your Weekend Mystical! Scarborough Renaissance Fest: Royal Ale Festival Date & Time: April 27-28, 2019, 10:00 a.m. – 7:00 p.m.
We have all the Scarborough Royal Ale Festival Weekend Information including Event Dates, and Ticket Links for you to enjoy a wonderful SRF weekend. We have many choices of drinking vessels for your SRF Weekend Experience in our inventory. Enjoy your ALE! Choose from a large Mug or Tankard or a More Royal Chalice or Goblet to store your drink of choice! Oh, by the way, get Ren Fest Outfits to match your Drinking Vessels. From Royalty to Riff Raff, we have the Costumes & Accessories you need. Scarborough Royal Ale Festival Weekend Date & Time: April 27-28, 2019, 10:00 a.m. – 7:00 p.m.
Make plans to attend Scarborough April 27-28 Weekend Info. Its the Royal Ale Festival and it’s quite an event. Our website and this post lists all the Scarborough Royal Ale Festival Weekend Information including Event Dates, and Ticket Links for you. We hope you enjoy a wonderful SRF weekend. We are committed to bringing you all the Cool Costume Events in the Dallas & North Texas Area. We have many choices of drinking vessels for your SRF Royal Ale Fest Weekend Experience in our inventory. Enjoy your ALE! 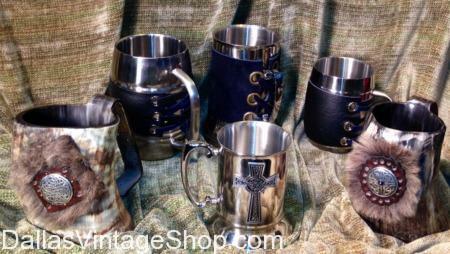 Choose from a large Mug or Tankard or a More Royal Chalice or Goblet to store your drink of choice! Oh, by the way, get Renaissance, Medieval, Celtic, Barbarian and many other Period Costumes to match your Drinking Vessels. For other Royal Ale Weekend Costume ideas browse our Categories on the right. From Royalty to Riff Raff, we have the Costumes & Accessories you need. Get ready for Scarborough Fair. We have listed the 2019 Scarborough Renaissance Festival Themed Weekend Themes, Week by Week. We can also provide all the Ren Fest Costumes you need for any and all of the SRF Weekend Themes. Get Complete Costumes or just the Wigs, Period Attire, Period Jewelry, Makeup, Weapons or Armor you need. From Royalty to Peasants, from Knights to Fair Maidens & from Wizards to Wenches, we have it all. Scarborough Renaissance Festival Weekend By Weekend Dates: Apr. 6-7 Time Travelers; Apr. 13-14 Artisan’s Showcase; Apr. 20-21 Celtic; Apr. 27-28 Royal Ale Festival; May 4-5 Legends of the Sea; May 11-12 Chivalry; May 18-19 Live the Fantasy; May 25-27 Last Huzzah. Official Scarborough Renaissance Festival All Themed Weekends, Full Descriptions, Dates & Times. Scarborough Renaissance Festival General Dates: April 6th-May 27th, 2019. Scarborough Renaissance Festival® is interactive fun for everyone, 16th Century Style. Enjoy full combat armored jousts, Birds of Prey exhibitions, the Mermaid Lagoon and Renaissance entertainment on 27 stages. Discover exquisite crafts in 200 village shoppes and marvel at the artisan demonstrations. Partake in Renaissance rides and games of skill and feast on food & drink fit for royalty. For the more discerning tastes there are daily wine and beer tastings as well. Plus, every weekend has a different theme and a variety of special events. You are in 2019 04/27-04/28 Scarborough Renaissance Festival: Royal Ale Festival category.